Gala dinner for the University of Cambridge's London alumni including David Attenborough, Clare Balding and Stephen Fry. Guests were welcomed into Banqueting House by Cambridge Constables in traditional dress before being shown into the Undercroft for a pre-dinner drinks reception. From there, they were invited to the Main Hall for dinner. The main component of this event was the production, aided by White Light. Footage of Cambridge was projected onto the windows in the Main Hall to create the effect of looking out of the window at well-known Cambridge scenes. The rolling footage of iconic Cambridge images, which softly played during dinner, included punting, picnics in front of the colleges, students walking through cloisters and work taking place in a science lab. This helped immerse guests in the Cambridge way of life so they could reminisce about their own experiences there. By Word of Mouth designed a dinner menu that reflected the ground-breaking, world-beating and life-changing achievements of the university, while also demonstrating a contemporary, elegant and stylish approach. "Media coverage for Banqueting House, as well as the University of Cambridge’s ‘Dear World, Best Cambridge’ campaign"
A venue that has been hosting some of the world's finest events for over 380 years. 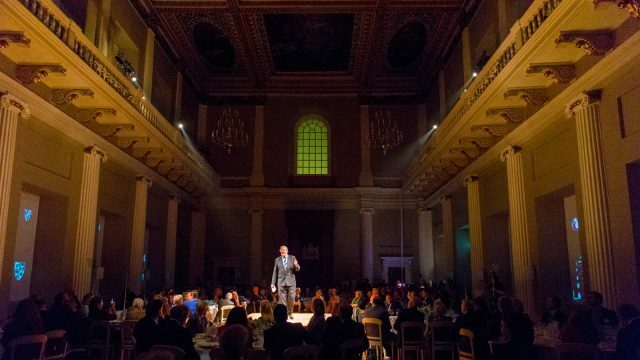 With a beautiful entry hall and a grand staircase that leads to one of London's most visually impressive halls, this is a location for spectacular occasions. 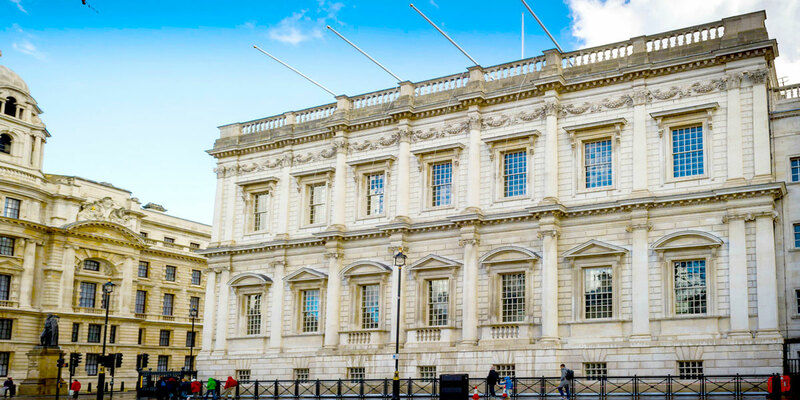 Banqueting House is a remarkable setting for drinks receptions and seated dinners. With enchanting event spaces, this magnificent venue has one of the capital's largest capacities for upscale dining events. In association with Prestigious Star Awards. ©2019 Prestigious Venues. Powered by CMAGICS.